Before stepping foot on your first venue tour, become an expert in all things wedding locations, including questions to ask, styles, a checklist and more. Choosing your wedding venue is one of the first big decisions you’ll make in the wedding planning process, and it’s not to be taken lightly. The wedding venue you choose will set the tone for your entire big day, from your décor to your attire and more. But with so many wedding venues to choose from, how do you decide which one is right for you? This wedding venue guide showcases the different types of wedding venues available, provides a wedding venue checklist to help you kick off your search, advises on what questions to ask a wedding venue, takes you through the styles and aesthetics of different wedding venues, as well as contains helpful advice from experts on how to find the wedding location of your dreams. 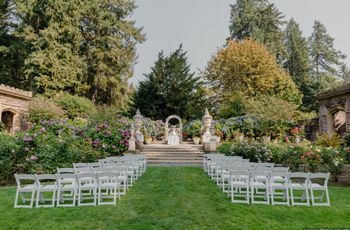 Use this wedding venue checklist to make sure you have all of the information you need to begin choosing a wedding venue! You do not have to have a complete and accurate guest list ready at this point. However, an estimated size will help you find a wedding recpetion and ceremony venue with the right capacity for your needs. Your choice of wedding venue will set the tone for your entire wedding day. That’s why it’s so important to do your research about the many different types of wedding locations available. To help you on your venue-finding quest—and serve up some inspiration and ideas for your own big day—we’ve compiled a list of the most popular types of wedding venues and what makes each one unique. Couples hoping to host a formal, black-tie wedding should consider a ballroom venue, whether it’s located in a hotel, country club, or as part of a banquet hall. Many ballrooms make wedding planning a snap by offering in-house catering, as well as other on-premise services. Hotel ballrooms allow guests to stay on-site for added convenience. Is your guest list on the bigger side? 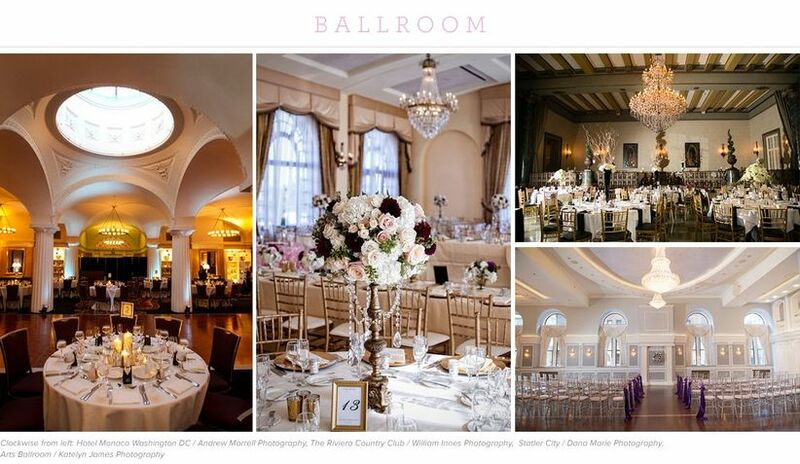 Ballroom venues are usually a top pick to accommodate larger weddings. Rustic weddings and barn venues go hand-in-hand, so these venues are very popular right now. When it comes to décor, barns can often serve as “blank slate” venues, which can accommodate a variety of different décor styles and color schemes. 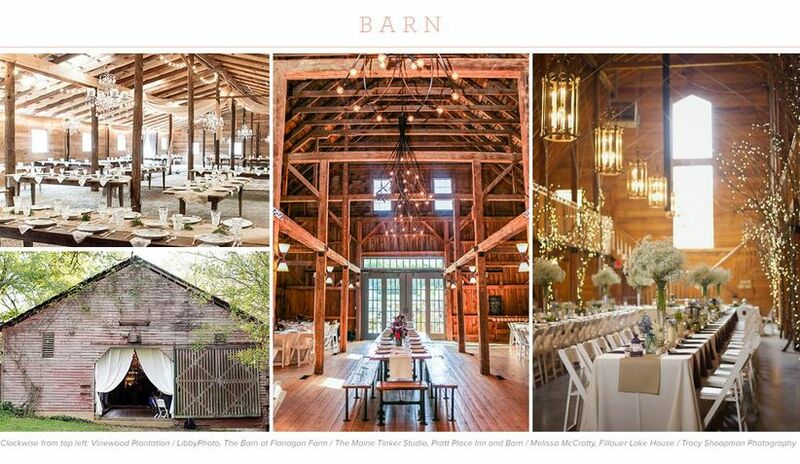 Barns are best for more casual weddings and encourage guests to kick off their heels and party! Barns located on farms or ranches often feature ample outdoor space for ceremonies, portraits, lawn games, and more. If you’ve dreamed of getting married with your bare feet in the sand and the ocean waves in the background, a beach venue is for you! 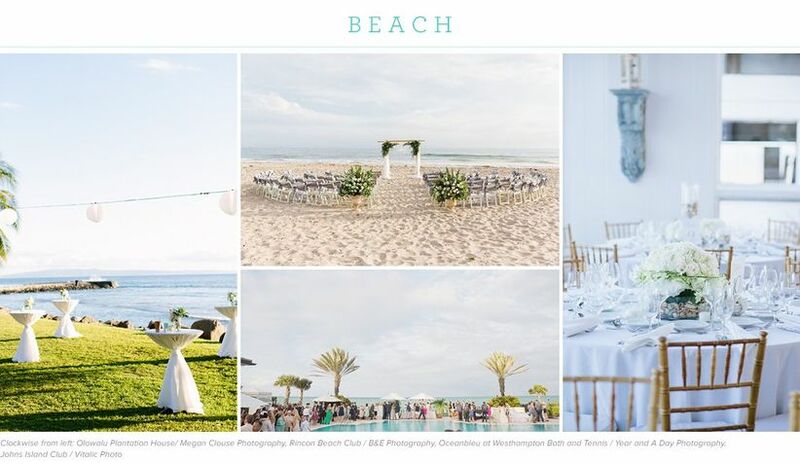 A beautiful beach venue requires little added décor, which can be helpful for budget-minded couples. Beaches are an inherently casual environment, which encourage guests to relax, mix, and mingle. What could be more romantic than a wedding venue surrounded by the beauty of nature? 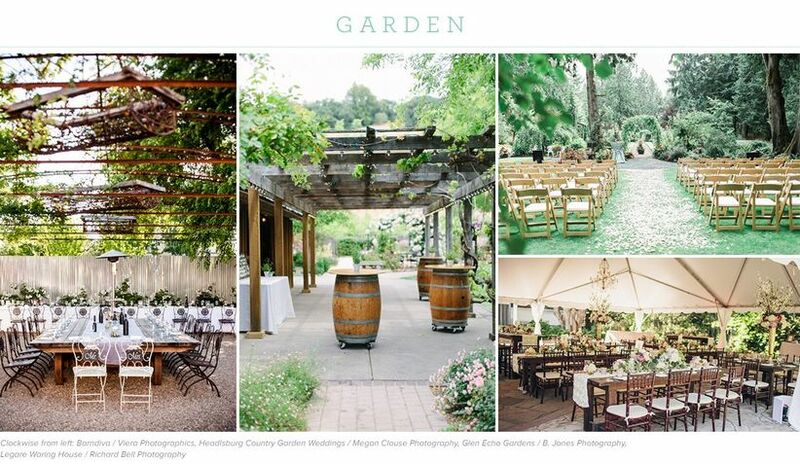 Garden venues offer this and much more. Beautiful scenery means beautiful backdrops for wedding portraits. Similar to a beach, gardens are a naturally gorgeous setting which may mean little need for added decor. If you and your S.O. 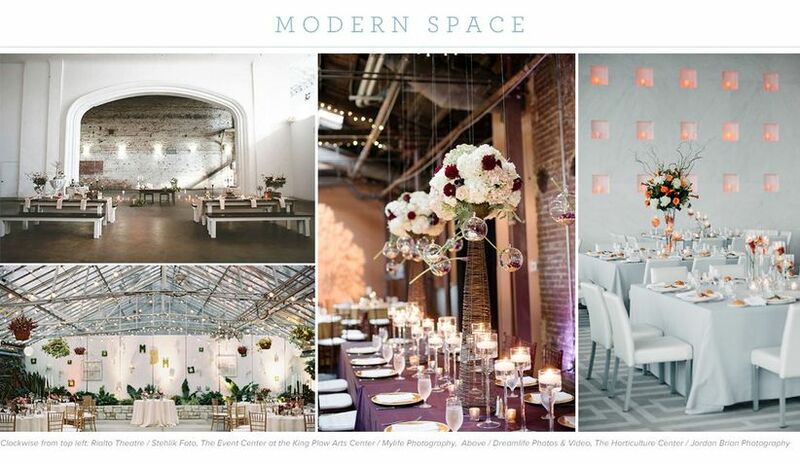 are hunting for a venue that’s a little out of the box, a loft or modern space is a trendy alternative. This venue will likely be somewhat bare, giving you creative control to style the space however you want! 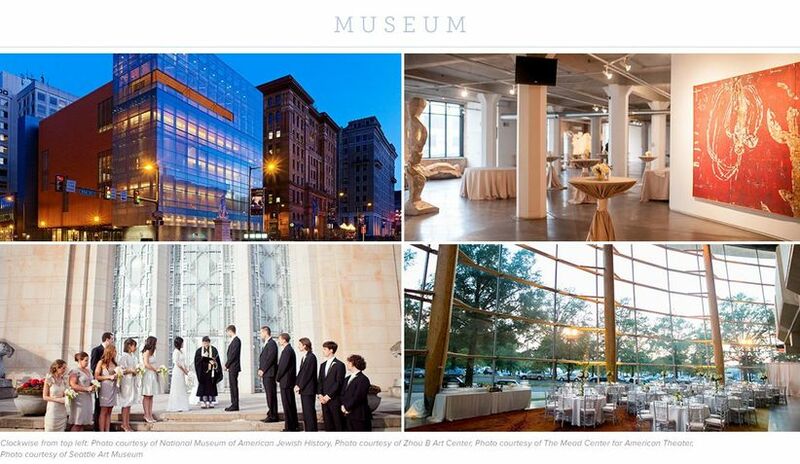 Many modern venues offer sweeping views of the urban landscape, the perfect backdrop for a city wedding. This is a good option for a smaller guest list, as lofts likely won’t have the room for hundreds and hundreds of guests. Couples who have a love of art or history, or just want a more formal setting, should consider hosting their big day at a museum. Museum venues often put together events of many kinds, so the staff will be well-trained and will help make sure your big day runs smoothly. You won’t have to worry about decorating the space, since paintings and artifacts can serve as the backdrop. During cocktail hour guests can keep themselves occupied by exploring what the museum has to offer. If good food is a major priority for your wedding day, why not explore the option of a restaurant wedding venue? Picking a restaurant you love will guarantee that the food will be spot on. You can keep your guest list to a minimum since there likely won’t be tons of space. The casual dining atmosphere will allow guests to really get to know each other. Is an outdoor venue a must-have on your wedding list? A vineyard will offer spectacular views and amazing wine. 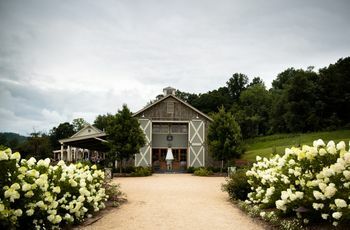 Vineyards usually have an indoor space as well, so if mother nature decides to impose on your wedding day, you’ll have a backup plan ready. 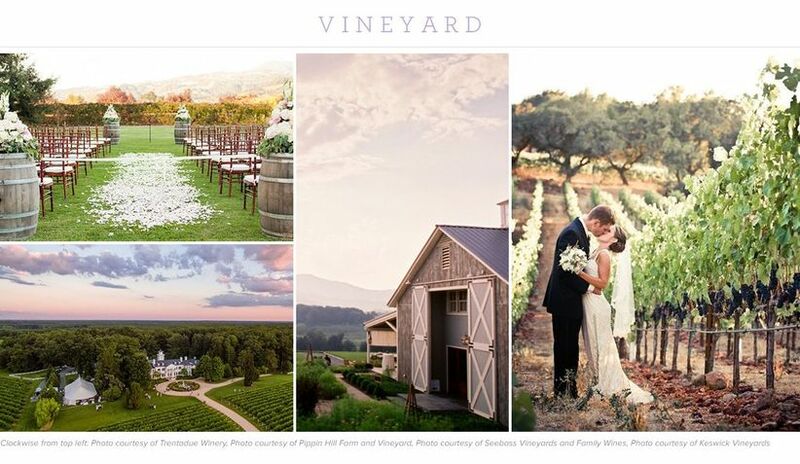 You’ll be able to take the most romantic photos amongst the vines and rolling hills. You won’t have to do much to dress up the space since most vineyards tend to boast a naturally rustic aesthetic. If you already know how you want your wedding to look and feel, you're already well on your way to finding the perfect venue! 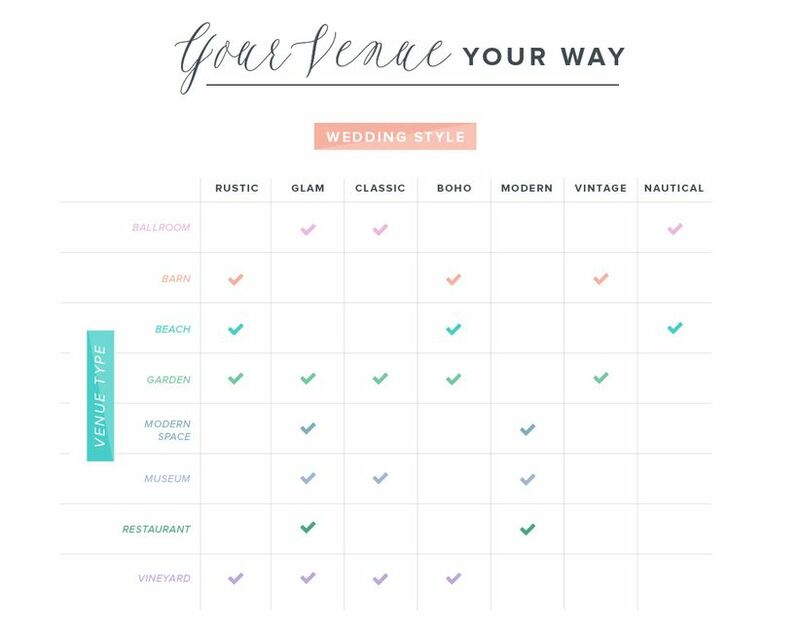 Just take a look at our Venue Style Chart below and see which venues will match your taste and vision best. You’re almost there. 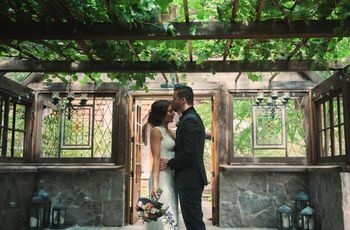 You’ve fallen in love with a wedding venue’s photos, read the reviews, and are ready to pay an in-person visit. Don’t shy away from asking lots of questions during your venue tour—you’ll want to have as much information as possible to make your decision. Check out this list of questions to ask a wedding venue—you’ll want to ask these of each and every venue you tour. 1. What is your availability? Are you available on my target date? 2. What does your package include and how much does it all cost (including additional fees)? When do I have to pay? 3. Is there any wiggle room with the prices if I choose a date in the off-season or not on a Saturday night? 4. What is your capacity? 5. Is your venue accessible via public transportation? If not, what is the parking situation? Who pays for parking? 6. Do you have an in-house caterer or can/must we bring in an outside caterer? 7. Do you provide alcohol or can we bring our own? Are there additional corkage fees? 8. Can I hold the ceremony here (if desired)? 9. Is there a coordinator on staff? Who will my main contact be? Will that person be there on the day of my wedding? 10. Is there a list of approved vendors or can I use any vendors I wish? 11. What’s the rain plan? 12. Is there climate control? 13. What are the accommodations for disabled guests? 14. What are the restrooms like? 15. Are there any additional rules I should know about, such as noise policies or rules against certain types of décor? 16. How long will my vendors and I have access to the venue before and after the wedding for set up and break down? 17. Will there be other events going on at the same time of my wedding or on the same weekend? 18. What will the room set up look like? Where will guests sit and where will the dance floor be? 19. Can I read your contract? 20. What’s your cancellation policy? At first, booking your wedding venue might seem like an easy task: set your budget, choose a date, sign the contract, and you’re good to go. But, as it turns out, there are a few more details you should take into consideration. 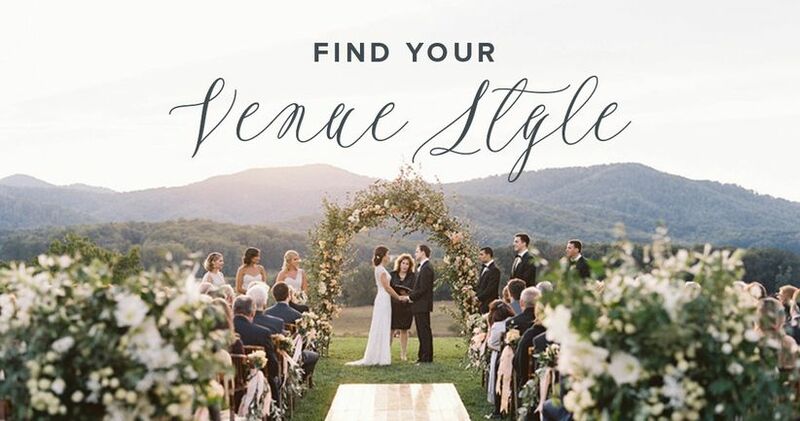 We reached out to venues across the country in search of tips and advice to help make searching for your dream venue a breeze. Read on to see what the experts had to say! 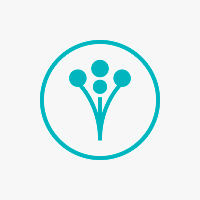 Q: What details or information should couples finalize before touring a potential wedding venue? Q: What kind of research should couples do when they’re looking for a wedding venue? Q: On average, how far in advance should couples plan to book their wedding venue? Q: What are three important questions that couples should ask when they’re touring a potential wedding venue? 1. Will I have the same person throughout the entire wedding process, or will there be one person helping me through the planning process and a different person running my wedding? 2. In an average five-hour reception with one hour of cocktail hour, after dinner and all of the formalities are over, how much dance time will we have? 3. Can you provide us with a price quote at our first meeting that includes all taxes and fees? 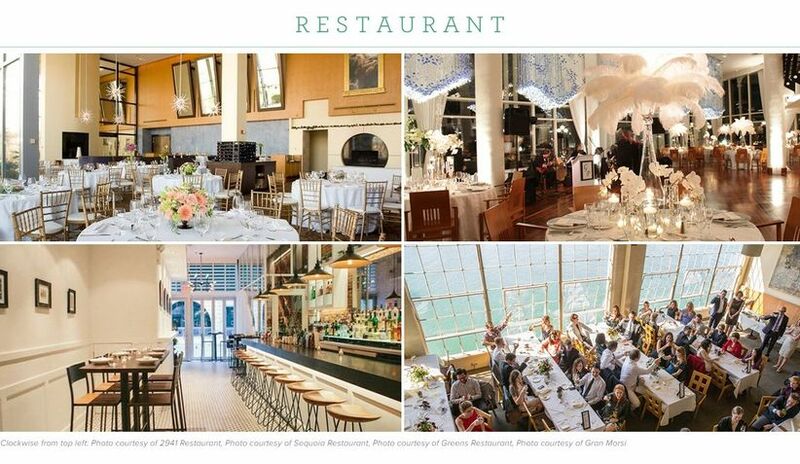 Q: How does a couple’s wedding style/theme affect how they choose a venue? Q: What’s the difference between all-inclusive and a la carte venues, and what should couples consider when deciding between the two? Q: What should couples do first: book their wedding venue or set their guest count? 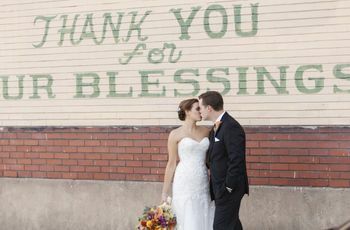 Q: What’s the number-one thing you wish couples knew about booking a wedding venue?